The BBC micro:bit is a powerful handheld, fully programmable, computer designed by the BBC. It was designed to encourage children to get actively involved in technical activities, like coding and electronics. It features a 5x5 LED Matrix, two integrated push buttons, a compass, Accelerometer, and Bluetooth. It supports the PXT graphical programming interface developed by Microsoft and can be used under Windows, MacOS, IOS, Android and many other operating systems without additional download of the compiler. Looking to do more with your BBC micro:bit? 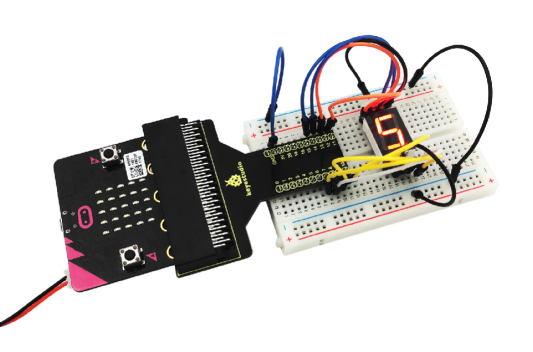 Unlock its potential with this T-type breakout board for the BBC micro:bit! 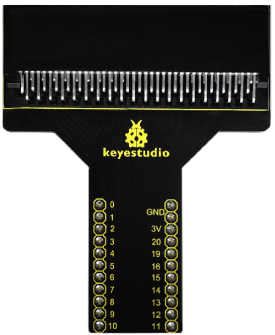 The edge connector/header offers an easy way to connect additional circuits and hardware to the pins on the edge of the BBC micro:bit. It provides access to all of the BBC micro:bit processor pins allowing a lot of extra functionality to be added. 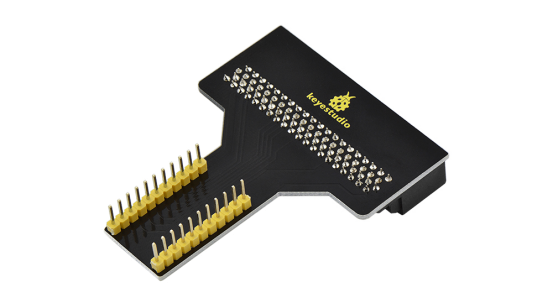 The micro:bit development board should be inserted firmly into the edge connector of this breakout board. Then you can directly plugged the board onto the breadboard. It is the ideal solution for projects where there isn't the room or need for a full breakout board. It is also the perfect solution for anyone that wants to design there own breakout board or prototyping systems. You can make use of the micro:bit built-in 5*5 LED to display the images. This page was last edited on 25 April 2019, at 09:12.